Click here for this month's meeting minutes! Kelly Hecht, PTA, LMT mainly provides therapeutic massage but can also provide swedish, shiatsu and foot reflexology (30 mintue service). Some benefits of massage include stress relief, postoperative pain, anxiety, pain relief and relaxation. Call 402-234-3333 for more information! 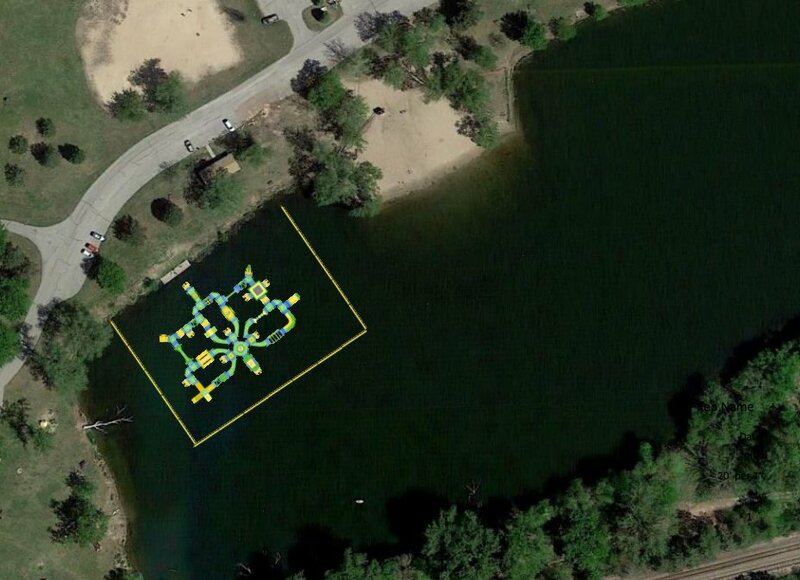 Nebraska Game and Parks announced on Monday July 9th that a floating playground is set to open at Louisville State Recreation Area at Lake #2. According to WOWT6 News installation is set to begin this week. No official word when the playground will be open to the public but officials are aiming for sometime next week. Pricing for 90 minute sessions will be $18 for individulas 13+ and $13 for 6-12 year olds. Images courtesy of Nebraska Game and Parks on Twitter. WOWT6 News story of floating playground. Have a 6-12th grade student at Louisville Public Schools interested in Trap Team? Check out the information below! See the attached map for information about the Barn Sale at Bloom Where You're Planted Farm (home of Rural Route Rust), the July Junk Market at Carole's Flowers, Gifts & Vintage Finds and sales at Lyle's Barn Again Antiques and Union Junktion.